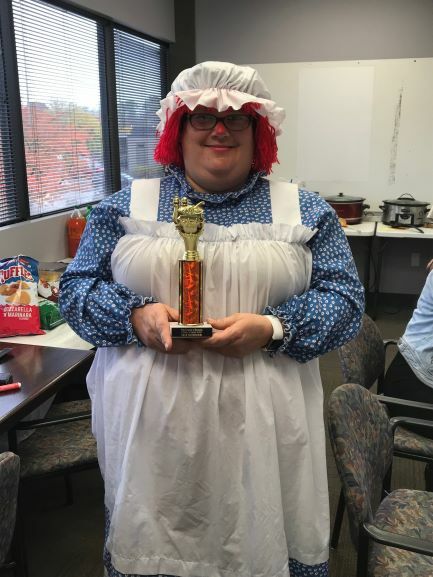 We had our annual Chili Cook-off and Halloween Party at the office on October 31st. It was a great event! There were seven chili’s entered into this year’s chili cook-off! Jamie Harris was the overall winner of the day! Her secret, I make it with ground turkey and not ground beef. Also the slower and longer it cooks, the better it tastes! We had a fun day of dressing up and celebrating with family and friends! Thank you to all who came out to participate in the event despite the weather!